Nokia 9 PureView Could Be Named the Upcoming Flagship From HMD Global - Multiple Camera Lenses Inbound? HMD Global is expected to come up with a new flagship and another device that should occupy the price/performance market, which will most likely be fueled by a Snapdragon 710. The high-end smartphone though is expected to be called the Nokia 9 PureView. If you remember, HMD Global recently acquired the PureView trademark from Microsoft, but the actual use of the name wasn’t anticipated. Now, things have started to come into the light, giving us more information as a result. Another PureView-branded phone that emerged previously included the Nokia 808, and according to critics, it featured an impressive camera. 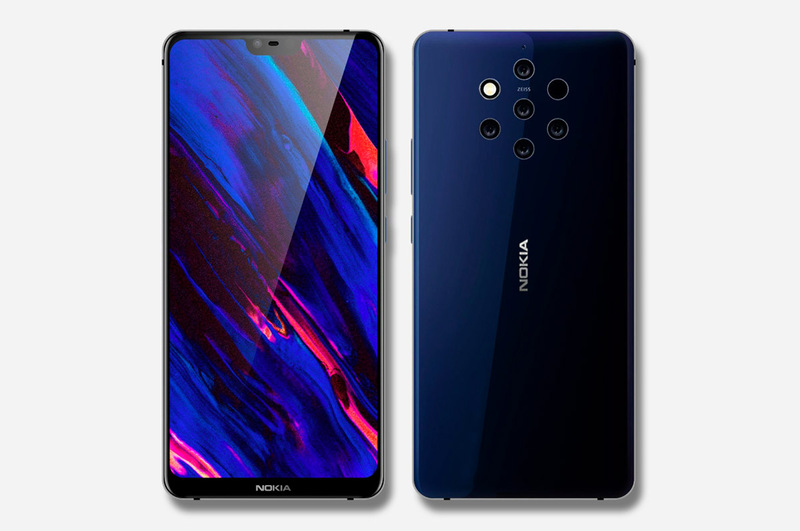 The trend started back in 2012 with the Nokia 808 PureView that introduced a cutting-edge camera technology along with the name. So we can expect the new Nokia 9 PureView to have impressive camera features and produce great results in various lighting conditions. The specifications haven’t been revealed yet but what can we expect from this new HMD flagship? The Nokia 9 PureView is rumored to have a primary 22MP camera, and there are reports of a Penta-lens setup showing up on the handset. Other specifications include a large 5.7-inch Quad-HD+ POLED screen, coupled with a Snapdragon 845 chipset and possibly 8GB of RAM. Additionally, the Nokia 9 PureView’s feature set could include Qi wireless charging and IP67 dust and water-resistance. This will indicate that the flagship could sport a glass and metal chassis, giving it a premium look. However, looking at how the Nokia 8 Sirocco did not sport a 3.5mm audio jack, we fear the HMD Global might give the Nokia 9 PureView the same treatment, with charging the smartphone and listening to media taking place via Type-C USB port. All of these upgrades are expected to increase the pricing of the Nokia 9 PureView, with rumors pointing towards a 4-figure price tag. We certainly hope this does not end up being the case but we’ll let you know more in the future as additional updates flow through. What features are you looking forward to from HMD Global’s upcoming crown jewel? Tell us down in the comments.